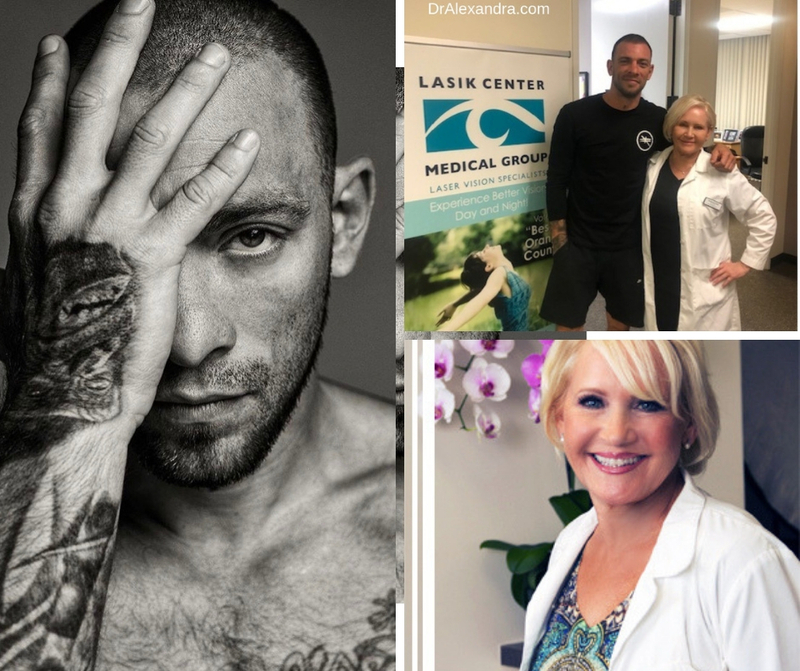 Joe Schilling, athlete and professional MMA fighter received his vision correction surgery with Dr. Alexandra Chebil in her private Irvine Lasik Center practice located in the heart of Orange County. 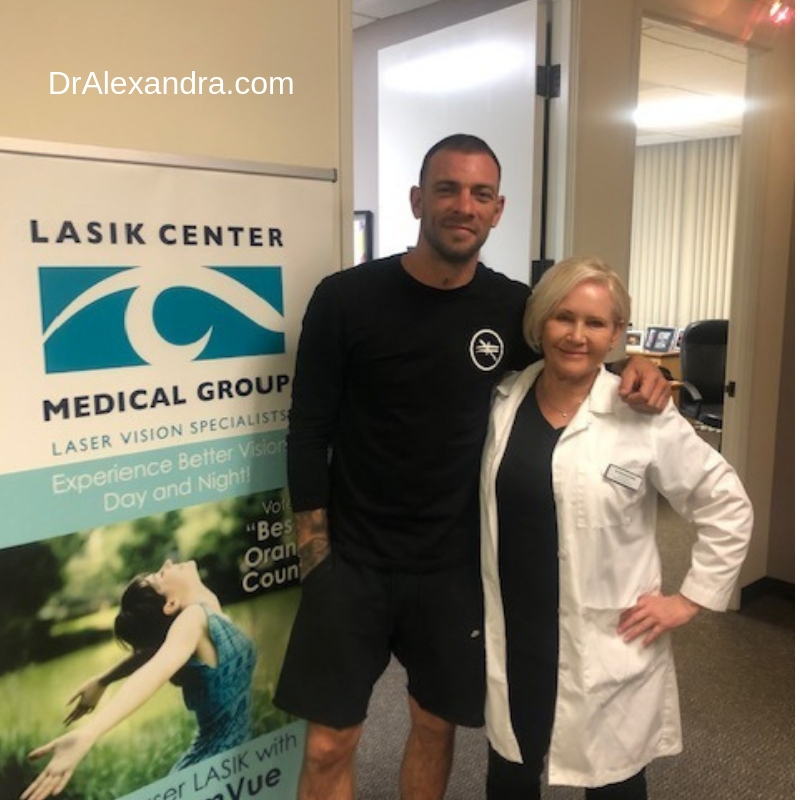 Dr. Alexandra Chebil is regarded as an athlete vision correction specialist, so it didn’t come as a surprise when Jamie Gall, a sports management agent to top professional athletes worldwide reached out to Dr. Alexandra to discuss Joe Schilling’s need for vision correction. “For as long as Joe can remember he has never had good eye sight, he was supposed to wear glasses as a child but never did because they got in the way of his active lifestyle” stated Gall in a private email to Dr. Alexandra. Doctor Alexandra was eager to help Joe achieve perfect vision without the need of glasses or contact lenses. On Friday, March 29th, Joe was scheduled to fight Keith Berry at the Pechanga Casino in Southern California with his appointment already booked with Dr. Alexandra Chebil in Orange County on Monday, April 1st. The office of Dr. Alexandra Chebil is home to many athletes she has treated in the past, but on April 1st, it was an event that everyone was excited to partake in. Schilling, his agent, and an entire camera crew joined us during the procedure and documented the entire PRK vision correction treatment. As Schilling stated on Instagram after his procedure “Friday I fought. Monday, I had PRK laser eye surgery to fix my bad vision I’ve had since the second grade. Turns out I’ve been fighting, driving, living blind. A huge thank you to these great people for being so awesome to me throughout the process. I’m a tough SOB but laser beams in your eyeballs had me pretty scared”. The procedure was successful, and Schilling couldn’t be happier to finally put his bad vision behind him for good. Dr. Alexandra Chebil runs a private, personalized practice that is anxiety-free. 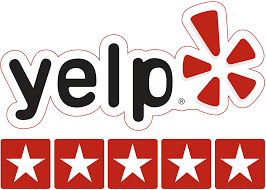 She has performed over 50,000 surgeries and is relied upon by other laser vision correction centers when they are faced with difficult cases that require a meticulous approach and custom Lasik treatments. From Dr. Alexandra Chebil, and our entire staff, we wish Joe Schilling the best success in his future endeavors, fights, and active lifestyle. If you’ve always struggled with bad vision, are tired of wearing glasses or contact lenses, it’s time to get 20/20 vision. Contact us for a complimentary consultation with Dr. Alexandra Chebil. Private, off-hour appointments are available for celebrities and where discretion is required.